This chapter starts with four counter-arguments which are then answered, much in the way St Thomas would come to write his future disputations. Now if the act of willing is by comparison of the willer to the thing willed, someone might think that God wills only the things that are: since relatives must needs be simultaneous, and if one cease the other ceases, as the Philosopher teaches. Wherefore if the act of willing is by comparison of the willer to the thing willed, no one can will other things than those which are. Note Relatives in similar sense of simultaneous cause and effect, as is clearer in the next example. Moreover. Will relates to things willed, even as cause and creator. Now not even God can be called Creator, or Lord, or Father, except of the things that are. Neither therefore can He be said to will other things than those which are. One might conclude further, if God’s willing is unchangeable, just as the divine being, and if He wills nothing but what actually is, that He wills nothing but what always is. To these arguments some answer that things which are not in themselves are in God and in His intellect. Wherefore nothing prevents God willing things even which are not in themselves, in so far as they are in Him. This reply, however, is seemingly insufficient. For every willer is said to will a thing in so far as his will is referred to the thing willed. Wherefore, if the divine will is not referred to a thing willed that is not except in so far as it is in God or in His intellect, it would follow that God wills it merely because He wills it to be in Himself or in His intellect. Yet those who make the above statements do not mean this, but that God wills things which as yet are not to be also in themselves. Note This is the summary of the counter-arguments. Long sentences! The objection is, in other words, that God wills future things as they are in themselves and that the future is not in God’s intellect. And how could this God-independent future come about by God? Again, if the will be referred to the thing willed through its object which is a good understood; the intellect understands that the good is not only in (the intellect) itself, but also in its own nature: and the will must be referred to the thing willed not only as it is in the knower, but also as it is in itself. Accordingly we must say that, since the apprehended good moves the will, the act of willing must needs follow the condition of the apprehender, even as the movements of other movables follow the condition of the mover which is the cause of the movement. Now the relation of the apprehender to the thing apprehended is consequent upon the apprehension, because the apprehender is referred to the thing apprehended through its apprehension thereof. Now the apprehender apprehends the thing not only as it is in the apprehender, but also as it is in its proper nature: for we not only know that a thing is understood by us, which is the same as the thing being in our intellect, but also that it is, or has been, or will be in its proper nature. Wherefore although the thing is then only in the knower, yet the relation consequent upon the apprehension is referred thereto not as it is in the knower, but as it is in its proper nature which the apprehender apprehends. Notes Got that? Apprehender, apprehended, apprehension, apprehends. A whole lot of thinking going on. If you know a thing, such as your dog Spot, he is in your intellect. You also know his nature or essence, what it means to be a dog (at least in some rough sense; nobody knows everything there is to being a dog; knowing a nature or essence does not imply you know everything). You can understand what it means for him to walk in the room, even though he’s not currently in it. Accordingly the relation of the divine will is to a nonexistent thing, as it is in its proper nature in reference to a certain time, and not only as in God knowing it. Therefore God wills the thing that is not now to be in reference to a certain time, and He does not will merely to understand it. Nor does the comparison hold with the relation of willer to thing willed, nor of creator to creature, nor of maker to thing made, nor of Lord to the creature subject to Him. For to will is an act abiding in the willer, wherefore it does not necessarily imply anything existing outside. But to make, to create, and to govern denote an action terminating in an external effect, without the existence of which such an action is inconceivable. Notes I kept this whole argument this week because I want the reader to understand that even such a simple contention that an omnipotent, omniscient “being” can will the future, which is obvious in its own way, requires proof. And St Thomas’s proof is as meticulous as they come. Mathematicians would say it is rigorous. Thus far, we have a 79-Chapter continuous argument. If you aren’t astonished by the miracle that was St Thomas, you haven’t been paying attention. This proof also fulfills another goal of our review of this book. To prove to us moderns that theology, at least as it was practiced by the schoolmen, was an intellectual achievement of the highest order. This sort of thinking is practically unknown among modern atheists because they haven’t bothered to look, which is why modern atheists are always chattering about “invisible friends in the sky” and other such things. Notice, too, that any scientific observation is irrelevant to what we have done so far. This is metaphysics, the science behind science. The philosophy that necessarily must exist before any science gets off the ground. Anyway, next week, like I falsely promised last, we’ll skip ahead more quickly. There is this famous painting of God being *visible* in the sky. It is in the Vatican, in the Sistine Chapel. Changes are the Popes walked there every day. How on earth can you claim then that the image of invisible friends in the sky are false? Surely because there was a *visible* God in the sky, right? And nog because of some arcane argument that 99.9% of the Catholics do not understand, while they have no problem understanding the actual paintings there, even if they never saw them. Forsooth (literally!)! This is true of all fields of knowledge. Consider the common knowledge of things like evolution or quantum mechanics. Why should theology be any different? As Origen wrote long ago, not everyone will have the time, the skills, or the inclination to dive into the subject too deeply. A more child-like faith is quite sufficient for most people to practice love, the corporal works of mercy, and so on, without going “under the hood.” Many people can drive a car quite well without knowing much about auto mechanics, let alone thermodynamics. Not even close. While Thomas’ attempts to prove things are impressive for the time, part of a great tradition, and amusing for us to contemplate, his reasoning is not rigorous even by the standards of philosophy of a century ago, and does not even approach the casual standards of an undergraduate applied math textbook. If it were otherwise, there could be no mathematicians or scientists who were also atheists, for they would have to accept the truth of his conclusions. If it were otherwise, there could be no mathematicians or scientists who also believed in water dowsing for they would have to accept the truth that all fail controlled tests, e.g. see the work of James Randi. However many do, I’ve met them. there could be no mathematicians or scientists who were also atheists, for they would have to accept the truth of his conclusions. Not really. Few people let go of deep emotional commitments simply on the basis of a logical argument. Try talking a friend out of his commitment to a girl who can be objectively shown to be Bad News (drugs, petty crime, etc.) Logic will only make him angry and he will seize on any peripheral detail to avoid facing facts. In 1970, Washington’s largesse led the University of Kansas to create a pilot project in classic liberal arts education called the Pearson Integrated Humanities Program, or IHP. The program was led by John Senior, Dennis Quinn, and Frank Nelick, three brilliant teachers who believed passionately that higher education meant immersion in the classic texts of western civilization and civilized conversation about them. Many IHP students soon discovered that wrestling with the literary and philosophical classics of western civilization meant encountering, and thinking seriously about, the Catholic Church. Conversions, intellectual and religious, followed. Those conversions later produced numerous vocations to the priesthood and the religious life, and two bishops. Authoritarian liberals on the KU faculty killed the IHP in 1979. So sometimes logic and reason does work. False, because not all mathematicians or scientists are aware of his conclusions; much less can actually *interpret* the painfully worded translations above. Mind you, I agree; Aquinas’ writing lacks the precise definitions which are central to the provability of a mathematical statement. He also leans on Aristotle’s reasoning quite heavily, which I would hardly take as granted, and furthermore he often makes unspoken assumptions (I specifically find issue with assumptions which imply particular relationships between God and time) which tend to be leaky seams in any attempt at rigor. What is wrong with “invisible friends in the sky”? God is invisible at this time. God is also an alien. Why are people bothered by these realities? It may be meant to imply that the believer is not rational, but I find simply saying “Yes” to these statements generally throw people off their game and ends the conversation. People who refer to God in the same way they refer to a child’s imaginary playmate are not interested in theology anyway, only ridicule. So why not agree (as long as the descriptions are accurate) and spoil their fun? I’ll confess to being very dense and not understanding completely the argument presented which, I take it, says that God knows the future completely. This is in opposition to Molina’s argument about God’s “Middle Knowledge” which knows about things that might be, but won’t necessarily happen. For one to believe in free will for God’s human creatures, I believe it is necessary to take Molina’s point of view rather than that of Aquinas. Bob: I agree with your idea that God knowing the future completely seems problematic. I don’t know if it precludes free will or not. If you think of God as being past, present and future completely outside of time, then God would just know because He’s not bound by time like we are. That idea has its problems, of course. My reasoning is why would God create things if He knew the outcome? Maybe that’s just a human being’s reasoning, but it seems to me that would not make much sense. When we get into the time-space, past present and future notions of time and physics, it gets very complicated. I tend to believe more in line with God knowing possible outcomes rather than the complete future. Matt has rightly pointed out repeatedly that a model that makes errant predictions is broken; and moreover, that we don’t need to pinpoint exactly what is wrong with the model before we can declare it broken. It’s up to proponents of the broken model to fix it, if they can. But proponents whose remedy is to double-down on the broken model do not deserve our accolades. I contend that we can equally say that a philosophical system such as classic Thomism is broken, when it cannot make progress on its own problematic, on the problems it sets for itself (rather than on the possibly ‘false problems’ set by mere opponents). And similarly, we don’t need to be able to pinpoint what is broken to be able to say that the philosophical system is broken. If long-standing and highly important disputes between adherents never get resolved within the philosophical system, that system is broken. There’s something drastically wrong with it, or it’s incoherent in one or more deep ways, or both. 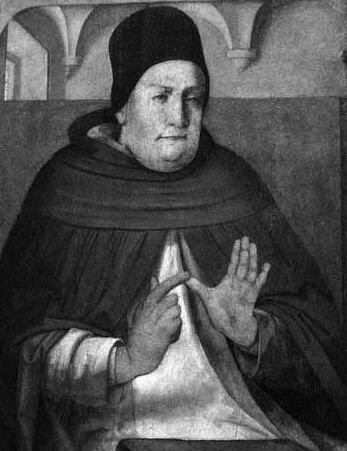 A coherent account, satisfactory to all [Thomists], that simultaneously honors the reality of human freedom, and hence safeguards the reality of man’s real moral responsibility for his actions, while also respecting the reality of efficacious grace and hence of Divine Providence, has so far not been achieved within classical Thomism, even after all this time. In effect, a philosophical system ‘predicts’ that it can successfully resolve at least its own problematic — the questions it puts to itself. But on the evidence, classic Thomism cannot do this. It ‘predicts’ that it can do so, but this prediction has turned out to be false. I say again: the ‘prediction’ of classic Thomism, that it can successfully resolve its own problematic, is, by facts not in dispute, demonstrably false. So what should someone not to-the-death committed to classic Thomism conclude from this? JohnK: I totally and completely disagree. Philosophy is not science. It may affect science and it is useful for many things, but prediction is not one of them. Your comparison is between elephants and rocks–two totally different things. Unlike science, there is no epirical proof in philosophy and ideas are rarely if ever declared complete. One only has to obey the rules of logic. All else is pretty much up for grabs. In all my philosophy studies, problems were rarely if ever solved and no one expected that, including the professors. Philosophy is about thinking and questioning more than about one definitive answer. Thomas need not be universally accepted, totally without flaws, etc to be useful in philosophy. If he were a scientist making predictions, the expectations would be different. JohnK, what do you advocate for as a replacement for the Thomistic system? Interesting model falsification proposal, but I don’t see how it is applicable in your example. A model is falsified when it is compared to new data that show that the model predictions are wrong. In a disagreement, is it proper to say that two competing views are falsified only because they disagree? That’s not right. The Pope’s commission allowed that both sides could continue to defend their own position because both views were found to be consistent with the magisterium of the Church. Therefore, both theological models *are* in fact consistent with the available data (Magisterium, divine revelation). It seems like the only sure way for this dispute to be settled would be with new divine revelation (new data), which is not likely in this life to be available until the breaking of the seventh seal. Isn’t this more like a case where there are two competing groups with their own model that represents some sort of physical phenomenon (ocean circulation, maybe). The separate model formulations may differ greatly in their approach, and what physics are actually included in the model code, but they both perform equally and with great skill compared to existing data. Just because they are formulated differently doesn’t mean that they are both automatically falsified. It just means that using the available data, it is not possible to evaluate which model system more correctly represents the real system being modeled. That of course could change with new data.